Lucifer just has a way with words and Castiel just so happen to listen. 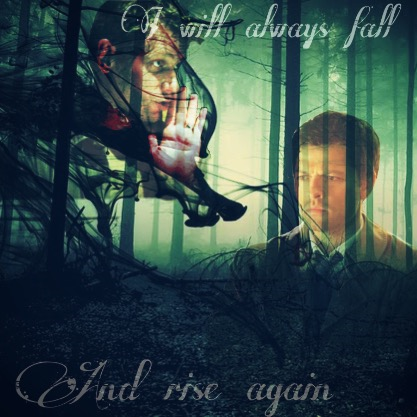 And just like Castiel, Lucifer will always fall, but rise again! This poster is 10X10, a small one, but will look awesome on any wall! This shirt has our symbol and slogan on it. The slogan, " Kindness Begins With Me" lives at the heart of our group and in each of us. In order for the world to be a better place it has to start with us. Since Supernatural started in 2005 the Winchester brothers, along with a few other characters, have graced us with their logic. While most times it seems sound, other times it makes us do a double take. So the fans of the show have decided to call certain phrases uttered by the Winchesters and their family, "Winchester Logic". Here is a small sampling of some of their classic logic. ﻿﻿​What started as a joke at the Toronto Supernatural Convention of 2015 has now turned into so much more. What is the musk you ask? Well according to Richard Speight Jr. and Rob Benedict it is the combined masculine musk smell that Jensen and Jared give off. That it will make you do things you don't want to do, that it is like a drug that keeps you coming to conventions. That the musk is dangerous in that it just knocks people out because of how amazing J2 smell. 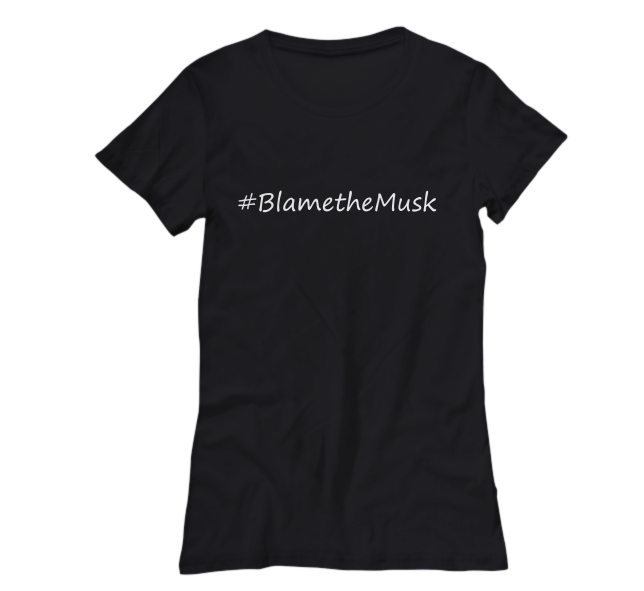 But on the plus side you can blame all of your life problems on the musk. One of a kind photo edit done to show the difference between Chuck a.k.a God and his sister Amara a.k.a The Darkness. This poster is 10X10, a small one, but will look awesome on any wall! More designs and products will be added over time so keep your eye out for new stuff!!!!! !